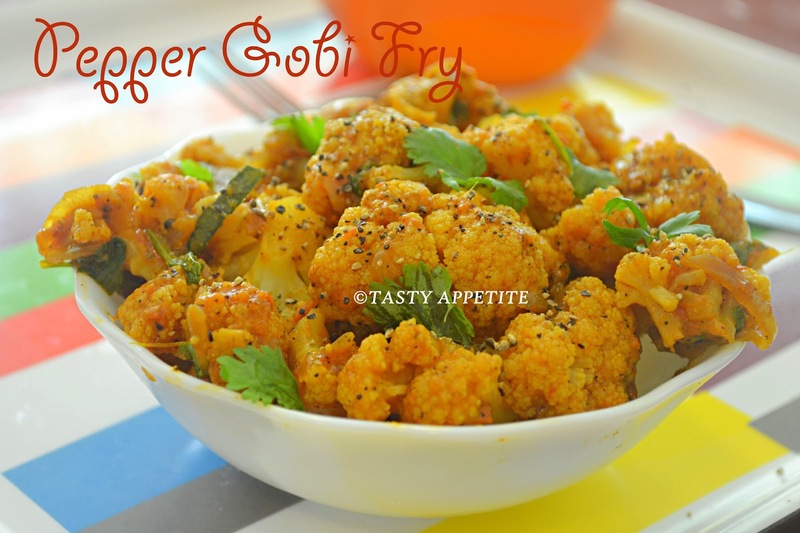 Pepper Gobi fry is an exotic dish from North India, which could be made in the thick gravy or dry form. 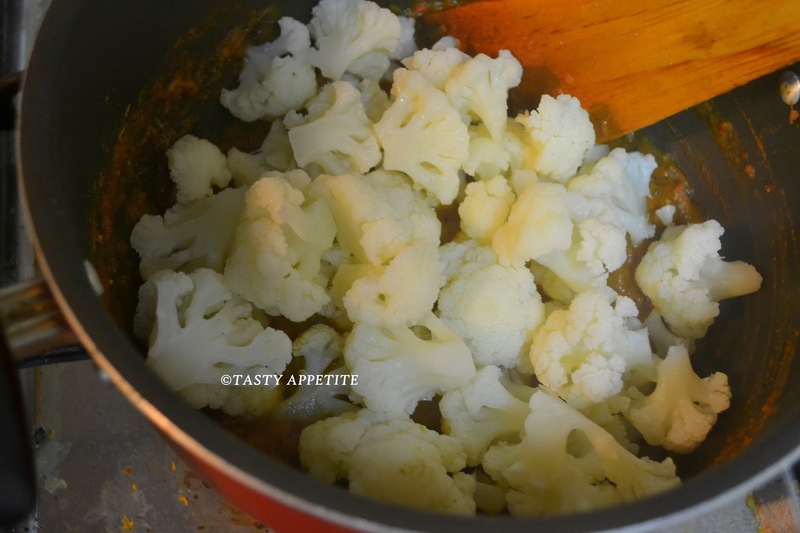 This will be a best accompaniment for variety rice or with roti & parathas. 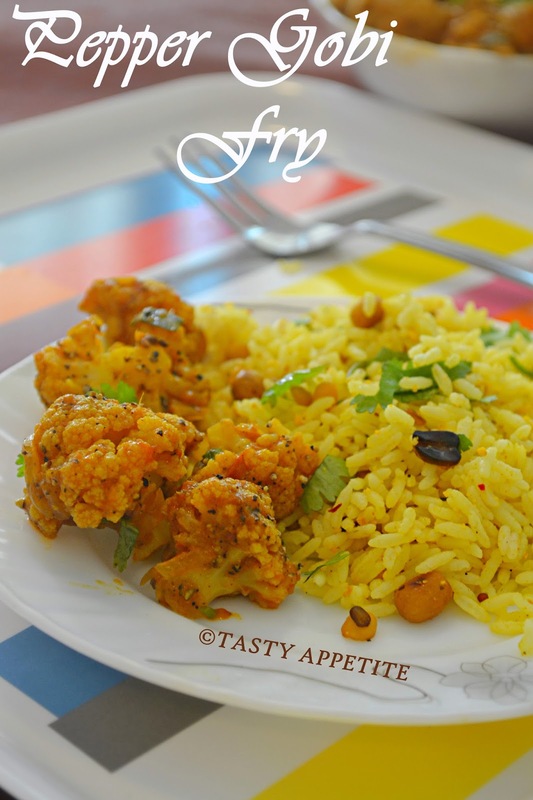 Recently, I tried this recipe and it turned out amazingly well and has become a favorite....at our home. 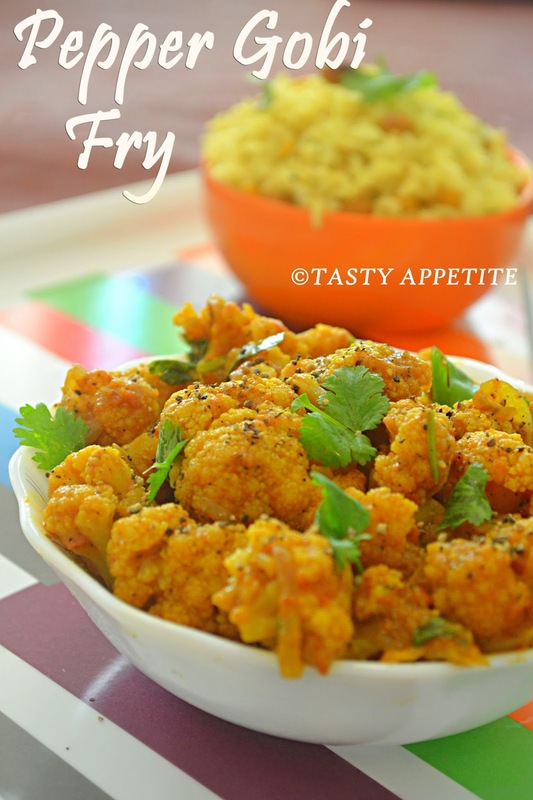 Go ahead and try out this delicious Cauliflower pepper fry. 1. 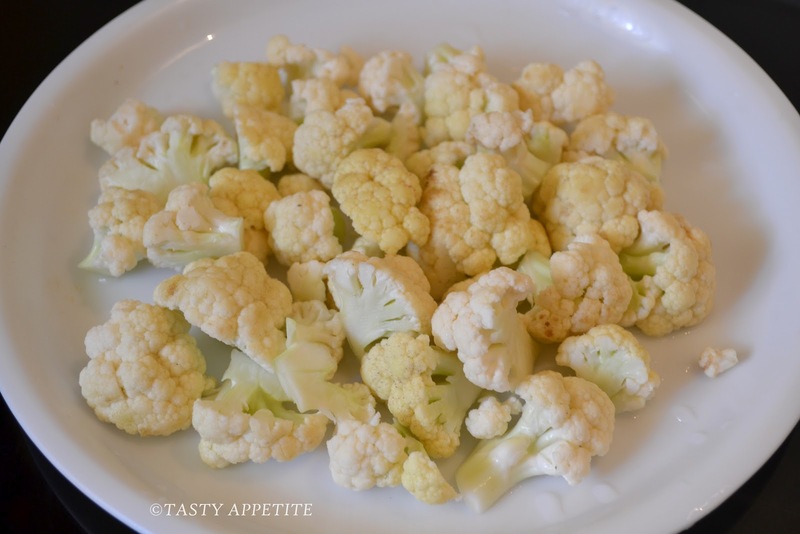 Wash and slice gobi to fine florets. 2. Heat water to boiling in a sauce pan. 3. 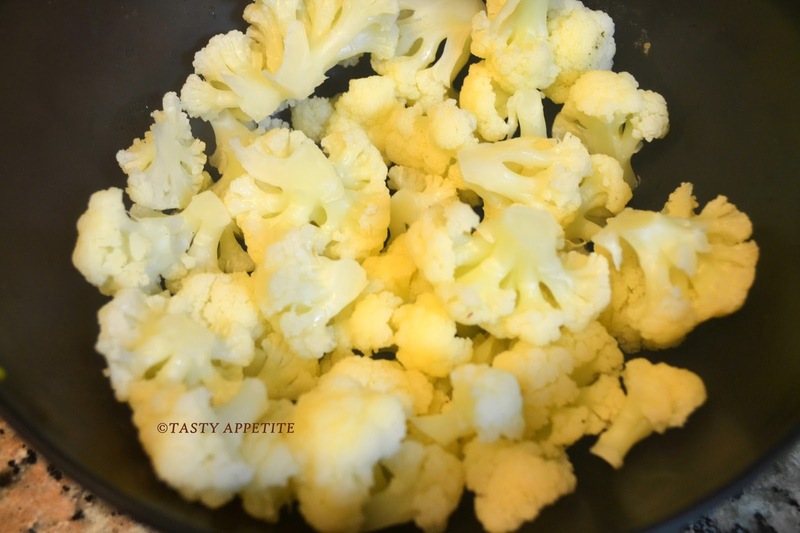 Add the florets along with little salt. 4. Cook covered with lid for 3 to 4 mins. 8. Temper with cumin seeds, bay leaf, red chilly and saunf. 9. Add the onions and saute for a few minutes till it starts browning. 10. Add the ginger garlic paste and cook for 1minute. 11. Add the tomatoes and cook on closed lid till it turns soft. 12. 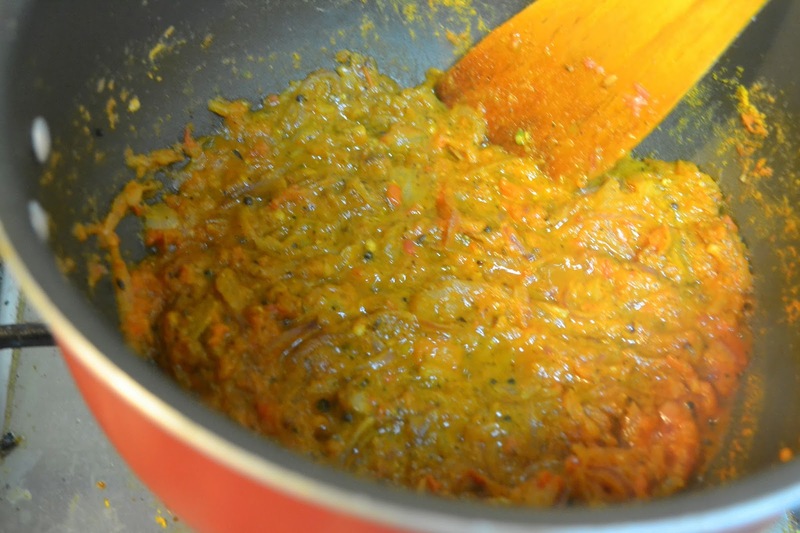 Add turmeric pwd, red chilly pwd, cumin pwd, coriander pwd and salt. 13. Mix all the masalas with a little bit of water and allow to boil. 14. 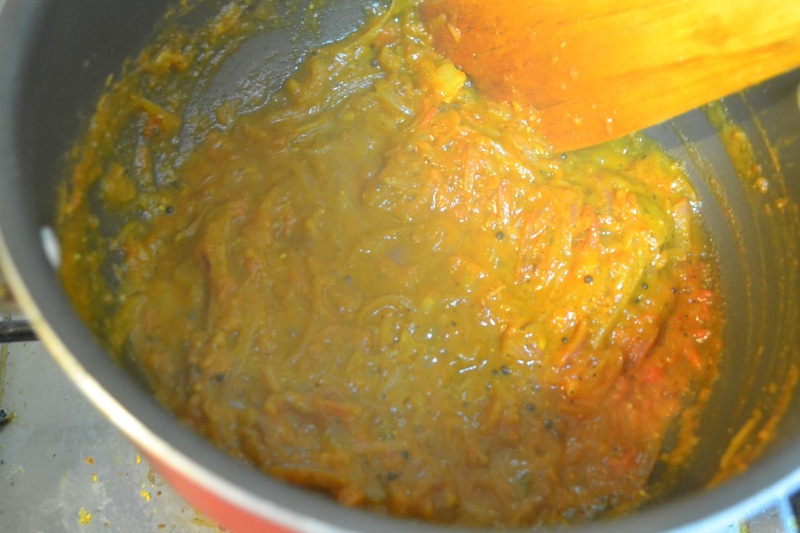 Cook on low medium heat till the masala attains thick gravy texture. 15. 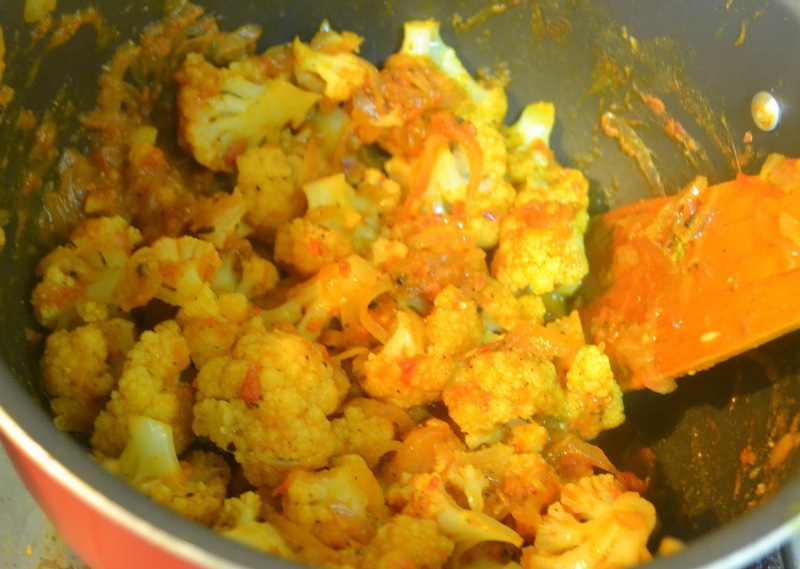 Now add the semi cooked gobi. 16. Mix well with the masala. 17. Cook for 2 more minutes. 18. 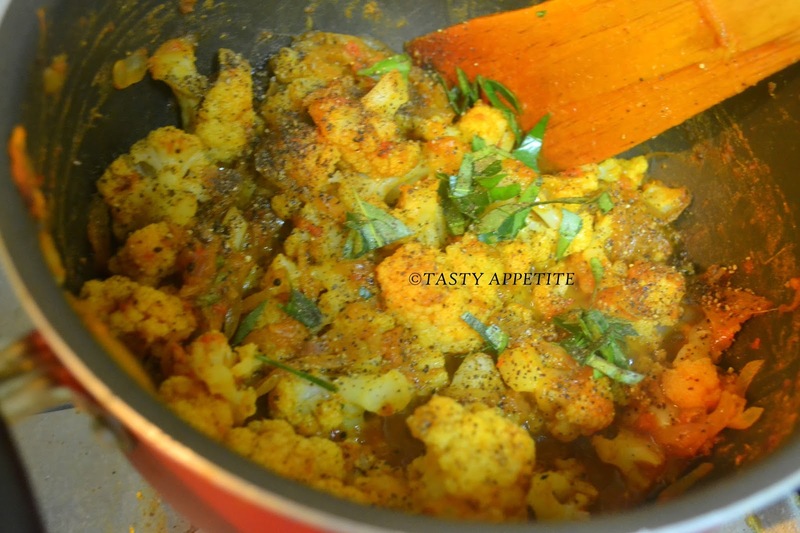 Sprinkle garam masala pwd and coarse pepper pwd. 21. 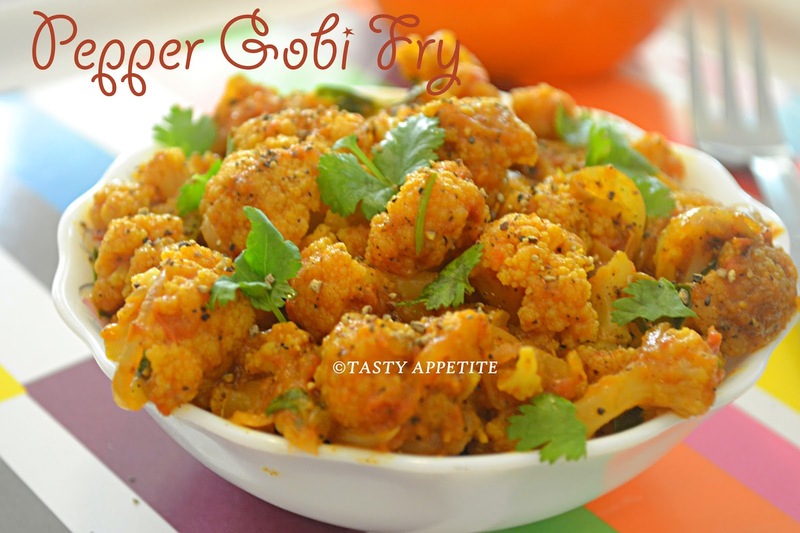 Now our Pepper Gobi is ready to be served. 22. 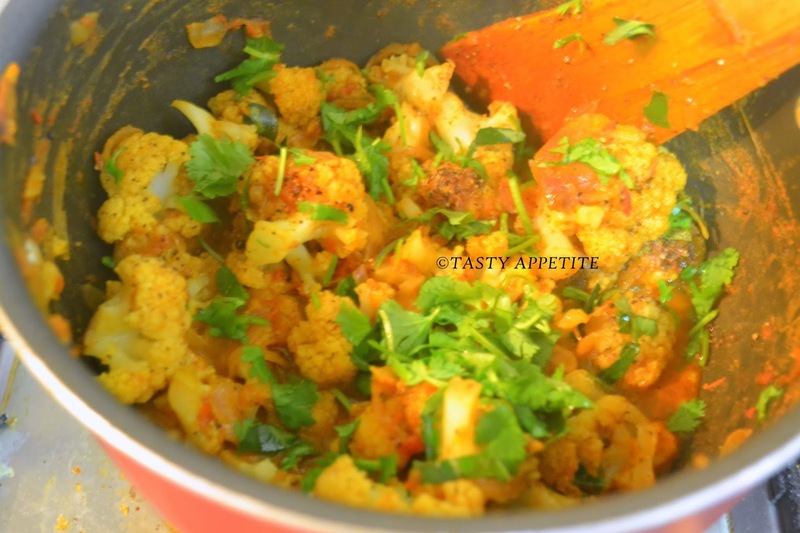 Serve hot as a side with any variety rice or with roti & parathas. 23. It tasted absolute yummy with lemon rice. wohoo .. thats so tempting..
Looks super spicy & tempting!! 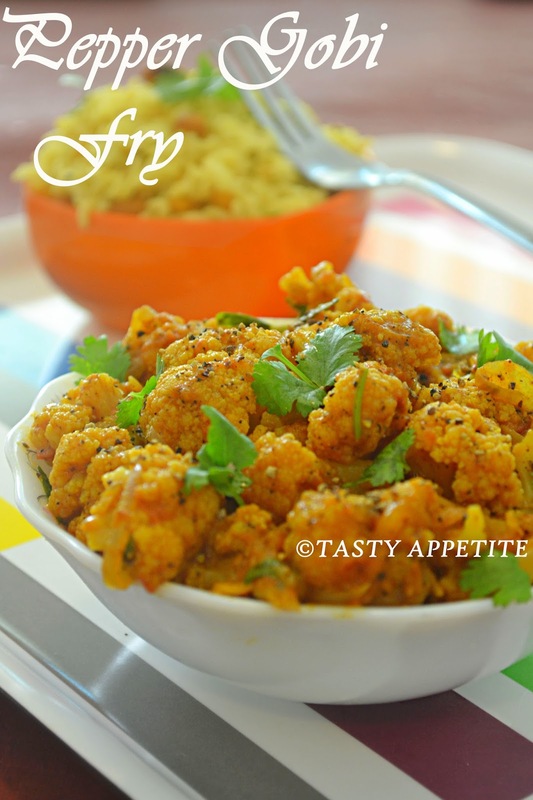 Appealing recipe..i do sometimes try it for chappatis..lovely clicks. 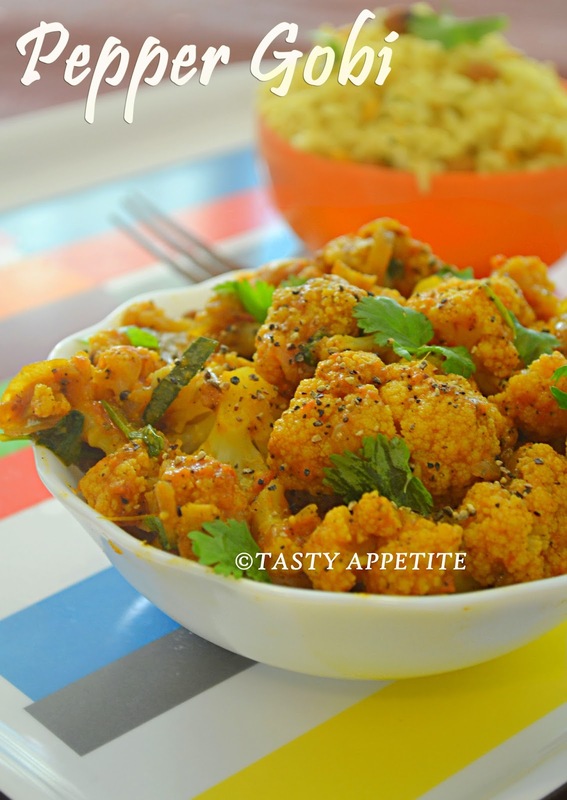 Healthy and yummy recipe.will try.